Let’s take a look at breed popularity, celebrating the world’s passion for dogs. Some of the connections are expected. Yes, English Bulldogs are popular in England. Other findings are unexpected. I’m fascinated that the Siberian Husky became so popular in the Philippines. And I didn’t expect one of the most popular breeds in South Korea today, for example, to be the little Maltese. An ancient companion dog, the Maltese was developed in Malta, some 5000 miles away from South Korea! Let’s hear from five breeds eager to describe their world-wide popularity. Toy Poodle courtesy Sandy Mainarti. Around the world, I offer pint-sized companionship with all the extras. I’m keenly focused on my family, not prone to much wandering, and gentle with the family’s animals and people. And despite my small size, I’m a tough competitor in sports such as agility, rally, or tracking. I’m also one of most intelligent breeds, a natural learner, and a top student in formal and informal obedience. I’m a favorite in a plethora of countries, including Canada and Japan. Labrador Retriever courtesy Nancy Masterson. I’m so delighted to sit high on this list. I’ve been working on my self-appreciating cheer. We’re number 1! We’re number 1! 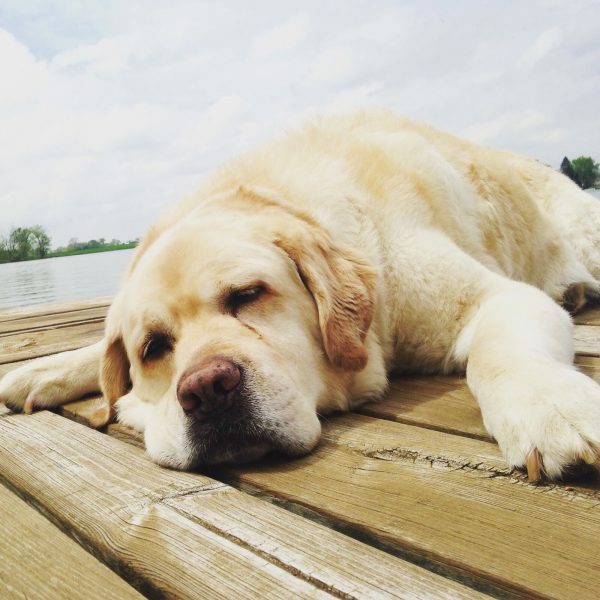 If Labs can’t do it, it can’t be done! I’m the most popular breed in the states, but I’m also the most popular breed worldwide. I’m ranked top dog in Finland, India, Portugal, and the United Kingdom. In addition to being man’s best friend, we’re a top choice for explosive detection, search and rescue, and service work. Our brains, adaptability, and athleticism, all contribute to our popularity. Oh, and I’m also the most popular dog in Canada, which isn’t surprising since it’s my country of origin. Maybe it’s time we replace the Beaver as the national animal of Canada, eh? 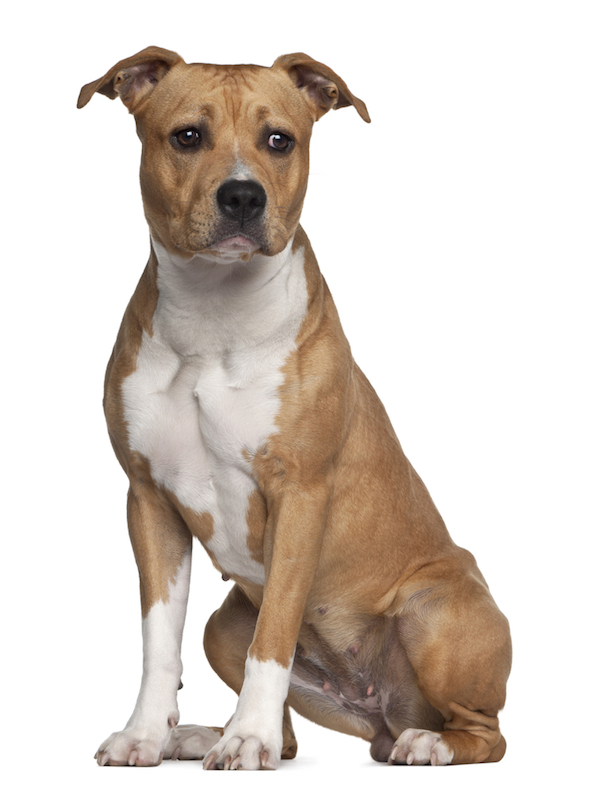 American Staffordshire Terrier by Shutterstock. How wonderful that I’m made in America, but loved on the global scale. For example, I’m one of the top popular breeds in Russia and Australia too. We were developed in America as all-around helpers for hunting and farming. We’re hard workers, with a soft heart for humans. In fact, most of us are too friendly for any notable guard duty. Our versatility, positive energy, and adaptability undoubtedly explain our popularity. We can pull carts, draw applause in an obedience trial, chase a wild pig off your ranch, or head out to therapy work at the hospital. Simply depends on what you need. Did I mention I love to please my humans? German Shepherd Dog courtesy Deborah Stern. Captain Max von Stephanitz developed us from German sheepdogs for brains and a strong work drive. Humility aside, I would suggest that if the world could only have one breed, it would have to be me. What other breed can herd animals, guide the sight-impaired, serve the military, assist police, track the missing, and also guard his beloved family’s home? I’m the most popular breed in many countries, including Denmark, the Czech Republic, and Norway. I didn’t see that last one coming. I was betting on the Norwegian Elkhound. And of course we’re popular in Germany, even though we’re a large breed and living space is at a premium in cities. Gut gemacht Deutschland! 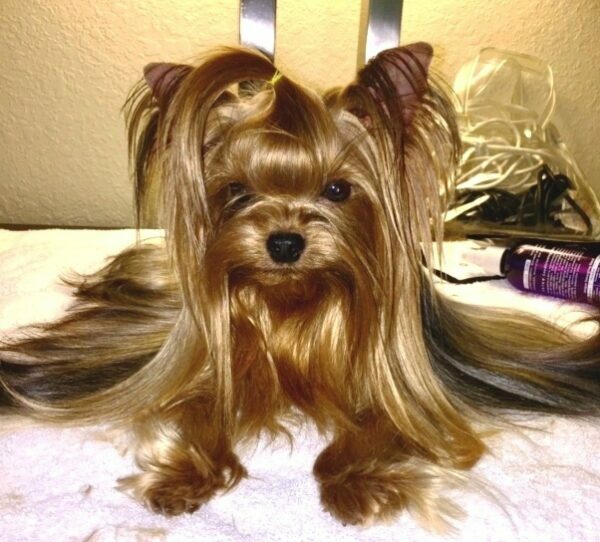 Yorkshire Terrier courtesy Zoey Porter. I was bred in the county of Yorkshire in England, but I’ve claimed the hearts of Spaniards, Lithuanians, and South Africans too. I’m one of the world’s most popular small breeds for good reason. You people delight in my small stature, but appreciate my big, loyal spirit. Developed to catch rats in clothing mills, I’m now bred for joy and companionship. I also show a smattering of feistiness, protectiveness, and pride that makes me irresistible. Plus I have a long average lifespan so my families all over the world enjoy my company for some 15 years. Oh, and my low-shedding coat cuts down on house cleaning bills! 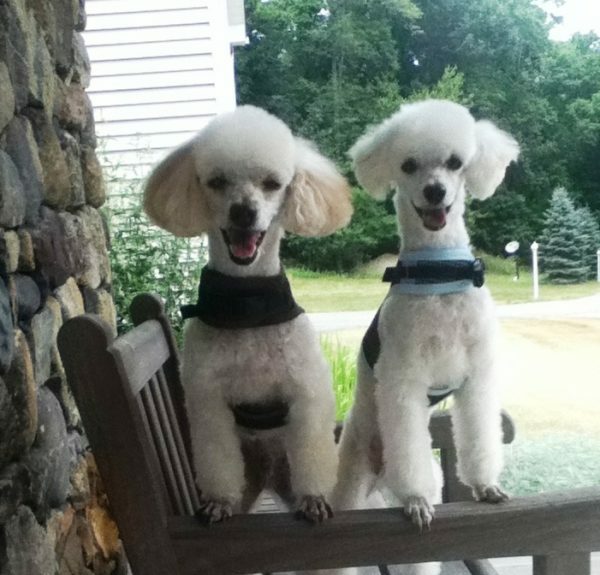 Top photo: Toy Poodle courtesy Sandy Mainardi. 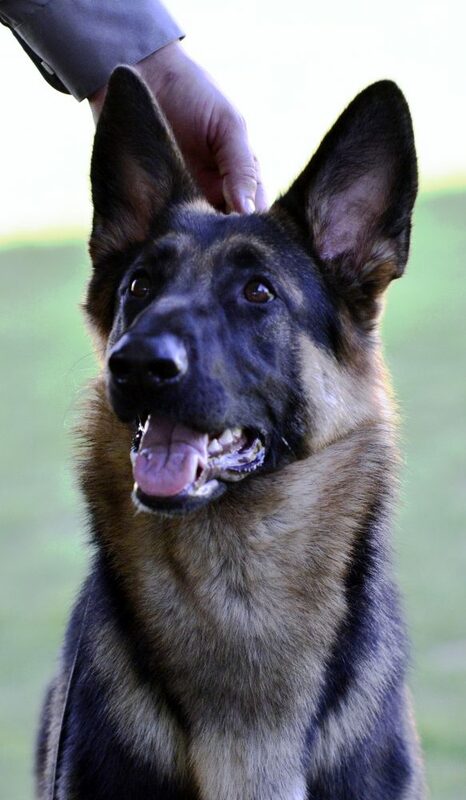 Homepage photo: German Shepherd Dog courtesy Deborah Stern. The post 5 Dog Breeds That Are Popular Around the World appeared first on Dogster.